"Vaisnavas, or devotees, are usually very compassionate upon conditioned souls. Without even being invited, a devotee will go from door to door to enlighten people and to bring them out of the darkness of nescience by injecting knowledge of the living entity's constitutional position as a servant of Lord Krishna. Such devotees are empowered by the Lord to distribute devotional consciousness, or Krishna consciousness, to the people in general. They are known as authorized spiritual masters, and it is by their mercy that a conditioned soul gets the seed of devotional service. The causeless mercy of the Supreme Personality of Godhead is first appreciated when one comes in touch with a bona fide spiritual master who can bring the conditioned soul to the highest position of devotional life. Therefore Lord Caitanya said that by the mercy of the spiritual master one can achieve the causeless mercy of the Lord, and by the mercy of the Supreme Personality of Godhead, one can attain the mercy of the bona fide spiritual master. "Thus by the mercy of the spiritual master and Krishna, one receives the seed of devotional service. He has only to sow the seed in the field of his heart, just as a gardener sows the seed of a valuable tree. After sowing this seed, one has to water it in the form of chanting and hearing the holy name of the Supreme Lord or by taking part in discussions about the science of devotional service in a society of pure devotees. When the plant of devotional service sprouts up from the seed of devotion, it begins to grow freely. When it is full grown, it surpasses the length and breadth of this universe and enters into the transcendental atmosphere, where everything is bathed in the effulgence of the brahmajyoti. 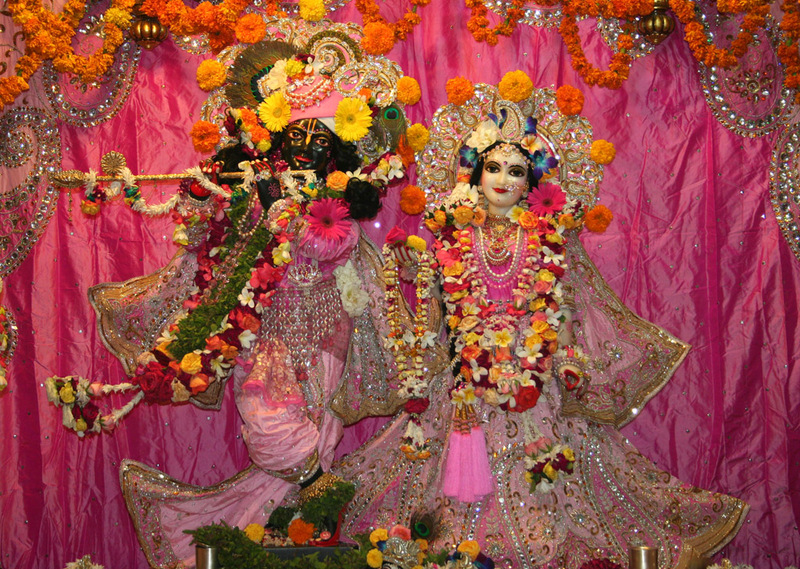 The plant even penetrates this brahmajyoti and gradually enters the planet known as Goloka Vrindavana. There the plant takes shelter at the lotus feet of Krishna. That is the ultimate goal of devotional service. After attaining this position, the plant produces fruit, which is known as the fruit of love of Godhead."